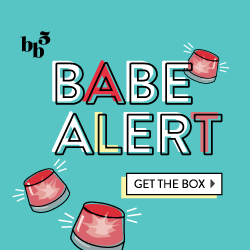 I absolutely LOVED last month’s Wantable Intimates Box (see December review here) and experienced such great customer service with having to exchange an item that was just way too big. And so, I had high hopes and for my January Wantable Intimates Box, and I have to say- they fulfilled it! This monthly subscription is customized to your liking: you fill out a survey that includes all of your sizing (bra, hips, waist, etc) your style preferences (if you like high socks, low socks, love or hate bralets, etc) and finally, your color and detail preferences (neutrals and basic, or neon and lace). You can do a 1-time subscription if you want to test it out or give it as a gift for $40, or opt for a reoccurring subscription for $36 per month. From my experience so far, the items are definitely high quality and worth the money. Here’s my first look into the box, after I removed the shipping/billing info sheet. I like that Wantable includes a billing sheet with information on the products you received. Plus, if they sent you an incorrect size, you can return it for another item, OR if you just completely don’t like your box, they’ll send you a return label and mail you a completely new one (no additional charge). The first item is this beautiful Pact Cami in a sea blue-green color with a bit of lace on the top. It fits perfectly (with a little room) and is actually a bit long and more like a tunic/could be worn over leggings (Approx. Value $28). I actually could see myself wearing it beyond my house, but it also serves as a super soft lounge top. This is actually the same brand as the peach ankle socks I adored in last month’s box, and the bag the cami came in is biodegradable. Yay, earth! Next we have this simple Bella Thong in brown. While the color is one of my least favorite choices (brown is up there with yellow and orange, ick) it is super soft and comfortable (Approx. Value $9). I could definitely see myself purchasing more of these in the future. The only thing that would really ‘make it’ would be if they added lace to the straps or fancied it up. Next we have this pair of Happy Socks Knee-High Socks that are gray almost all the way up, and then have a geometric diamond pink/purple pattern on the top (Approx. Value $14). These are really awesome and I actually am considering buying more in other colors to either wear hiked up with boots, or while I’m lounging at home. Unfortunately these Kix’ies Thigh Highs were my least favorite item, only because I wear stockings and tights but not thigh-highs (Approx. Value $19). They just grab my leg weirdly and end up slipping/falling down. I’m hoping I’ll have a theme party or some type of event to wear them to and possibly pair with a garter. All in all, I was mostly happy with my January Wantable Intimates Box. For next month, I have my fingers crossed on some cute lace undies, another cami and some lounge pants or leggings! What do you think about the Wantable Intimates Box? Out of all 3 categories: beauty, accessories and intimates, this one is definitely my favorite! Interested in your own? Sign up here!